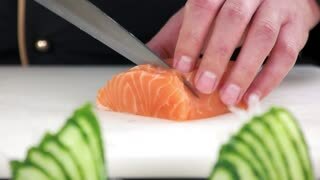 Close-up of sushi chef show one's capability slices fresh salmon at sushi bar. 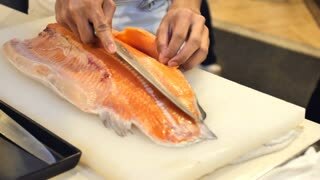 Professional cook cutting fish fillet at commercial kitchen, slow motion. 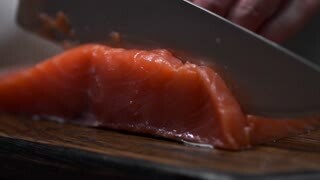 Salmon's fillet. Preparing for cooking. 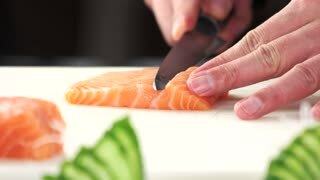 Chef cutting salmon close up. 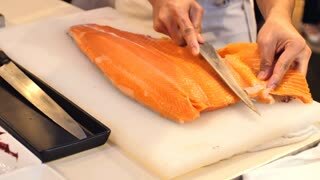 Sliced raw fish. 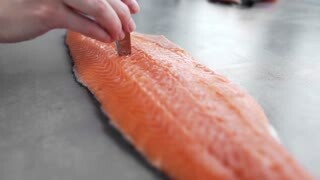 Hands cutting salmon. 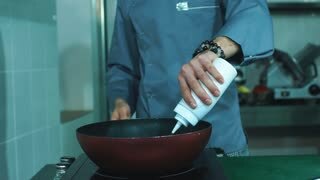 Chef preparing sushi ingredient. 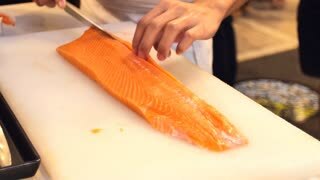 Chef slicing salmon close up. 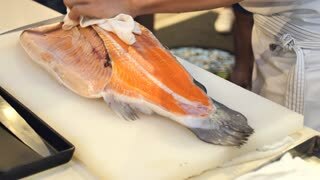 Raw fish on cutting board.